Energy in Russia describes energy and electricity production, consumption and export from Russia. Energy policy of Russia describes the energy policy in the politics of Russia more in detail. Electricity sector in Russia is the main article of electricity in Russia. Primary energy use in 2009 in Russia was 7,524 TWh and 53 TWh per million persons. Russia is rich in energy resources. Russia has the largest known natural gas reserves of any state on earth, along with the second largest coal reserves, and the eighth largest oil reserves. This is 32% of world proven natural gas reserves (23% of the probable reserves), 12% of the proven oil reserves, 10% of the explored coal reserves (14% of the estimated reserves) and 8% of the proven uranium reserves. With recent acquisitions, Russia has gained assets in the Black Sea that may be worth trillions of dollars. Russia is the largest oil producer in the non-OPEC countries, and second biggest in the world after Saudi Arabia, which it overtakes as the world's number one from time to time. In 2006, Russia contributed 12.1% of global oil production and 11.6% of global oil exports. In June 2006, Russian crude oil and condensate production reached the post-Soviet maximum of 9.7 million barrels (1,540,000 m3) per day, exceeding production in 2000 by 3.2 Mbbl/d (510,000 m3/d). Russian export consists more than 5 Mbbl/d (790,000 m3/d) of oil and nearly 2 Mbbl/d (320,000 m3/d) of refined products, which go mainly to the European market. The domestic demand in 2005 was 2.6 Mbbl/d (410,000 m3/d) on average. Russia is also the main transit country for oil from Kazakhstan. The biggest Russian oil company is Rosneft followed by Lukoil, TNK-BP, Surgutneftegaz, Gazprom Neft and Tatneft. All oil trunk pipelines (except the Caspian Pipeline Consortium) are owned and operated by the state-owned monopoly Transneft; oil products pipelines are owned and operated by its subsidiary Transnefteproduct. Currently, Transneft is constructing the Eastern Siberia – Pacific Ocean oil pipeline that would bring Russian oil to the Asian-Pacific markets (China, Japan, Korea). Russia owns the biggest oil shale reserves in Europe equal to 35.47 billion tonnes of shale oil. More than 80 oil shale deposits have been identified. Main deposits are located in the Volga-Petchyorsk province and the Baltic Basin. Extraction of the deposits in the Volga-Petchyorsk province began in the 1930s, but was abandoned due to environmental problems. Main oil shale industry was concentrated on the Baltic Basin in Slantsy, but at the end of the 1990s the Slantsy oil shale processing plant and oil shale-fired power station were converted to use traditional hydrocarbons and mining activities ceased before 2005. In Syzran a small processing plant continues to operate. Small extra-heavy oil reserves have been identified in the Volga-Urals and North Caucasus-Mangyshlak basins. Large deposits of natural bitumen are located in Eastern Siberia in the Lena-Tunguska basin. Other bitumen deposits are located in the Timan-Pechora and Volga-Urals Basins, and in Tatarstan. In September 2007, Tatneft and Royal Dutch Shell announced a strategic partnership to develop heavy crude oil production in Tatarstan, where Tatneft already has pilot production of bitumen. Russia has the world's second largest coal reserves, with 157 billion tonnes of reserves. Russian coal reserves are widely dispersed. The principal hard coal deposits are located in the Pechora and Kuznetsk basins. The Kansk-Achinsk basin contains huge deposits of brown coal. The Siberian Lena and Tunguska basins are largely unexplored resources, which would probably be difficult to exploit commercially. Hydropower accounts for about 21% of Russia's total electric power production. Russia now[when?] 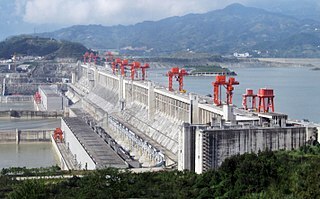 has 102 hydropower plants in operation, with aggregate installed capacity of over 35 GW. Russia's RusHydro is the world's second-largest hydroelectric power producer. Gross theoretical potential of the Russian hydro resource base is 2,295 TWh per year, of which 852 TWh is regarded as economically feasible. Most of this potential is located in Siberia and the Far East. Hydro generation (including pumped-storage output) in 2005 was 175 TWh, which represents 5.8% of world hydroelectricity generation. Russia ranks as the fifth largest hydroelectricity producer in the world. At the end of 2005 installed hydroelectric generating capacity was 45.7 GW. In 2005 nuclear energy supply in Russia amounted to 149 TWh, which is 15.7% of total Russian electricity output and 5.4% of global nuclear energy production. The total installed capacity of nuclear reactors is 21,244MW. There are plans to increase the number of commercial reactors from thirty one to fifty nine. From 2001 all Russian civil reactors were operated by Energoatom. On 19 January 2007 Russian Parliament adopted legislation which created Atomenergoprom - a holding company for all Russian civil nuclear industry, including Energoatom, the nuclear fuel producer and supplier TVEL, the uranium trader Tekhsnabexport (Tenex) and nuclear facilities constructor Atomstroyexport. Uranium exploration and development activities have been largely concentrated on three east-of-Urals uranium districts (Transural, West Siberia and Vitim). The most important uranium-producing area has been the Streltsovsky region near Krasnokamensk in the Chitinskaya Oblast. In 2005, the Russian Federation was the world's fourth largest producer of uranium, accounting for 8.2% of global output. Low prices for energy and in particular subsidies for natural gas hinder renewable energy development in Russia. Russia lags behind other countries in creating a conducive framework for renewable energy development. Non-hydroelectric renewable energy in Russia is largely undeveloped although Russia has many potential renewable energy resources. Geothermal energy, which is used for heating and electricity production in some regions of the Northern Caucasus and the Far East, is the most developed renewable energy source in Russia. Geothermal resources have been identified in the Northern Caucasus, Western Siberia, Lake Baikal, and in Kamchatka and the Kuril Islands. In 1966 a 4 MWe single-flash plant was commissioned at Pauzhetka (currently 11 MWe) followed by a 12 MWe geothermal power plant at Verkhne Mutnovsky, and 50 MWe Mutnovsky geothermal power plant. At the end of 2005 installed capacity for direct use amounted to more than 307 MWt. Principal peat deposits are located in the north-western parts of Russia, in West Siberia, near the western coast of Kamchatka and in several other far-eastern regions. The Siberian peatlands account for nearly 75% of Russia's total reserves of 186 billion tonnes, second only to Canada's. Approximately 5% of exploitable peat (1.5 million tonnes per annum) is used for fuel production. Although peat was used as industrial fuel for power generation in Russia for a long period, its share has been in long-term decline, and since 1980 has amounted to less than 1%. It has been estimated that Russia's gross potential for solar energy is 2.3 trillion tce. The regions with the best solar radiation potential are the North Caucasus, the Black Sea and the Caspian Sea areas, and southern parts of Siberia and the Far East. This potential is largely unused, although the possibilities for off-grid solar energy or hybrid applications in remote areas are huge. However, the construction of a single solar power plant Kislovodskaya SPP (1.5 MW) has been delayed. Russia has high quality wind resources on the Pacific and Arctic coasts and in vast steppe and mountain areas. Large-scale wind energy systems are suitable in Siberia and the Far East (east of Sakhalin Island, the south of Kamchatka, the Chukotka Peninsula, Vladivostok), the steppes along the Volga river, the northern Caucasus steppes and mountains and on the Kola Peninsula, where power infrastructure and major industrial consumers are in place. At the end of 2006, total installed wind capacity was 15 MW. Major wind power stations operate at Kalmytskaya (2 MW), Zapolyarnaya (1.5 MW), Kulikovskaya (5.1 MW), Tyupkildi (2.2 MW) and Observation Cape (2.5 MW). Feasibility studies are being carried out on the Kaliningradskaya (50 MW) and the Leningradskaya (75 MW) wind farms. There are about 100 MW of wind projects in Kalmykia and in Krasnodar Krai. A small pilot tidal power plant with a capacity of 400 kW was constructed at Kislaya Guba near Murmansk in 1968. In 2007, Gidro OGK, a subsidiary of the Unified Energy System (UES) began the installation of a 1.5 MW experimental orthogonal turbine at Kislaya Guba. If it proves successful, UES plans to continue with Mezen Bay (15,000 MW) and Tugur Bay (7,980 MW) projects. Russia is the world's fourth largest electricity producer after the United States, China, and Japan. In 2005, Russia produced 951 TWh and exported 23 TWh of electricity. Roughly 63% of Russia's electricity is generated by thermal plants, 21% by hydropower and 16% comes from nuclear reactors. Russia exports electricity to the CIS countries, Latvia, Lithuania, China, Poland, Turkey and Finland. Russian billionaires in energy by Forbes in 2013 included No 41 Mikhail Fridman ($16.5 B), No 47 Leonid Mikhelson ($15.4 B), 52 Viktor Vekselberg ($15.1 B), 55 Vagit Alekperov ($14.8 B), 56 Andrey Melnichenko ($14.4 B), 62 Gennady Timchenko ($14.1 B), 103 German Khan ($10.5 B), 138 Alexei Kuzmichev ($8.2 B), 162 Leonid Fedun ($7.1 B), 225 Pyotr Aven ($5.4 B), 423 Vladimir Bogdanov ($3.2 B), 458 Mikhail Gutseriev ($3 B), 641 Alexander Dzhaparidze ($2.3 B), 792 Igor Makarov ($1.9 B), 882 Anatoly Skurov ($1.7 B), 974 Vladimir Gridin and family ($1.5 B), 974 Andrei Kosogov ($1.5 B), 1031Farkhad Akhmedov ($1.4 B), 1088 Alexander Putilov ($1.35 B), 1161 Mikhail Abyzov ($1.25 B) and 1175 Konstantin Grigorishin ($1.2 B). According to data from the US Energy Information Administration, Russia was the fourth top emitter by "fossil fuels CO2 in 2009" 1) China: 7,710 million tonnes (mt) (25.4%) ahead of 2) US: 5,420 mt (17.8%), 3) India: 1,600 mt (5.3%), ””4) Russia: 1,570 mt (5.2%)”” and 5) Japan: 1,100 mt (3.6%). In the “”cumulative emissions between 1850 and 2007”” Russia was third top emitter following: 1. US: 339,200 mt (28.8%) 2. China: 105,900 mt (9.0%), ””3. Russia: 94,700 mt (8.0%)”", 4. Germany: 81,200 mt (6.9%), 5. UK: 68,800 mt (5.8%), 6. Japan: 45,600 mt (3.87%), 7. France: 32,700 mt (2.77%), 8. India: 28,800 mt (2.44%), 9. Canada: 25,7100 MT (2.2%) and 10. Ukraine: 25,400 mt (2.2%). Among the top emitter of all greenhouse gas emissions in 2005 including building and deforestation Russia was the fifth: 1. China: 7,220 mt (16.4%), 2. US: 6,930 mt (15.7%), 3. Brazil: 2,860 mt (6.5%), 4. Indonesia: 2,050 mt (4.6%), 5. Russia: 2,030 mt (4.6%), 6. India: 1,870 mt (4.2%), 7. Japan: 1,390 mt (3.1%), 8. Germany: 1,010 mt (2.3%), 9. Canada: 810 mt (1.8%), and 10. Mexico: 700 mt (1.6%). Wikimedia Commons has media related to Energy in Russia. ^ "Country Analysis Brief. Russia". Energy Information Administration. April 2007. Retrieved 2008-03-03. ^ "EU-Russia Energy Dialogue". EurActive.com. 2005-11-28. Retrieved 2007-01-12. ^ Dieter Helm (2006-12-12). "Russia, Germany and European energy policy". openDemocracy.net. Retrieved 2008-03-03. ^ Goichi Komori; Sanae Kurita; Keishi Nakashima (December 2005). "The Russian Oil Policies and Its Oil Industry Trends" (PDF). The Institute of Energy Economics, Japan. Retrieved 2008-03-03. ^ Schofield, James (2002-06-24). "Russia's oil renaissance". BBC News. Retrieved 2007-05-19. ^ Woodruff, Yulia (2006). "Russian oil industry between state and market". Fundamentals of the global oil and gas industry, 2006. Petroleum Economist. ISBN 978-1-86186-266-2. ^ Yenikeyeff, Shamil, "BP, Russian billionaires, and the Kremlin: a Power Triangle that never was", Oxford Energy Comment, November 23, 2011. Retrieved 2011-11-24. ^ "Tatneft and Shell to develop strategic partnership. Press release". Royal Dutch Shell. 2007-09-27. Archived from the original on 2007-12-12. Retrieved 2008-01-13. ^ Overland, Indra; Kjaernet, Heidi (2009). Russian renewable energy: The potential for international cooperation (PDF). https://www.researchgate.net/profile/Indra_Overland/publication/289325179_Russian_renewable_energy_The_potential_for_international_cooperation/links/5b433c09aca2728a0d65a451/Russian-renewable-energy-The-potential-for-international-cooperation.pdf?_sg%5B0%5D=fJROtvVQJaGcTFYuJzrRw5YvRJ6kigQ7JivnE2OehtRLANQN5UY6hfCuKCR6dinnMB_D3ujxLErL1PIDI5HelQ.A13qk_1frVttX8HtCbEnBrEbAxm7nmNYLuAtXa57cd0YKMrMtQprdrDwA20j4-00EHuPWI9IpsTeoGqBbrFhoQ&_sg%5B1%5D=UwM1losY1xmC998Vnnf7Cp9PESfdrYEJ3o8-qKxIFeSRwtMnvae0dRvvReNFkUcpoCX7plJM8Aqq2hjRaHWmHbqV04_RPTuPCE31huwCJSQ2.A13qk_1frVttX8HtCbEnBrEbAxm7nmNYLuAtXa57cd0YKMrMtQprdrDwA20j4-00EHuPWI9IpsTeoGqBbrFhoQ&_iepl=: Asghate. ^ Overland, Indra (2010). "The Siberian Curse: A Blessing in Disguise for Renewable Energy?". Sibirica Journal of Siberian Studies. 9: 1–20. Brazil is the 10th largest energy consumer in the world and the largest in South America. It is an important oil and gas producer in the region and the world's second largest ethanol fuel producer. The government agencies responsible for energy policy are the Ministry of Mines and Energy (MME), the National Council for Energy Policy (CNPE), the National Agency of Petroleum, Natural Gas and Biofuels (ANP) and the National Agency of Electricity (ANEEL). State-owned companies Petrobras and Eletrobrás are the major players in Brazil's energy sector, as well as Latin America's. Ensuring adequate energy supply to sustain economic growth has been a core concern of the Chinese government since 1949. Primary energy use in China was 26,250 TWh and 20 TWh per million persons in 2009. According to the International Energy Agency, the primary energy use grew 40% and electricity use 70% from 2004 to 2009. Energy in Belgium describes energy and electricity production, consumption and import in Belgium. South Africa was the world's sixth hard coal producer in 2009. Hard coal production was 1,620 TWh in 2009 and total energy production 1,995 TWh in 2008. Turkey consumes over 6 exajoules of primary energy per year, over 20 megawatt hours (MW/h) per person. 88% of energy is fossil fuels and the energy policy of Turkey includes reducing fossil fuel imports, which are a quarter of import costs. As of 2016 greenhouse gas emissions by Turkey were 6.3 tons/person year, more than the global average. Total primary energy supply (TPES) in Slovenia was 6.67 Mtoe in 2014. In the same year, electricity consumption was 13.87 TWh.